How many of us know scriptures? It's a lot. Yet, we find that many Christians feel lost or ineffective in their walk with their Lord and Savior. Discipleship is the mechanism for guiding new and self proclaimed, ineffective Christians, to a clear and productive walk. So, if you're going "all in" to seek the Lord, you'll find that in a discipleship relationship, you won't just walk. You'll run! Discipleship is more than just taking a class or hanging out with a knowledgeable brother or sister in the Lord. Discipleship takes the form of an intimate relationship between two brothers or two sisters in the Lord. In a discipleship relationship you will experience a close relationship with someone who will help you understand who God is and His plan for this universe. They will guide you in understanding who we are in Christ, how to walk with the Lord and inform our ministry. In this discipleship relationship, the "discipler," uses several skills, their experience and the wisdom that the Lord has developed within them. These all get expressed through mentoring, teaching and coaching. A mentor is a wise and trusted advisor. In business, it is the practice of assigning a junior member of staff to the care of a more experienced person as a tutor and a coach. We see in the scriptures where Jesus and Paul express their mentoring role. Good, insightful teaching of the scriptures can sometimes be hard to come by. A disciplers work is not to give good advice, either as a dad, a husband, a friend, or a close coworker. 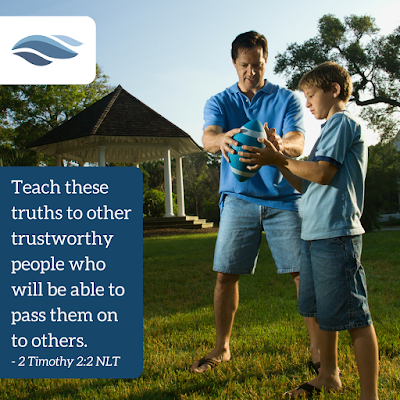 A discipler is focused on introducing the disciple to their God and Savior. 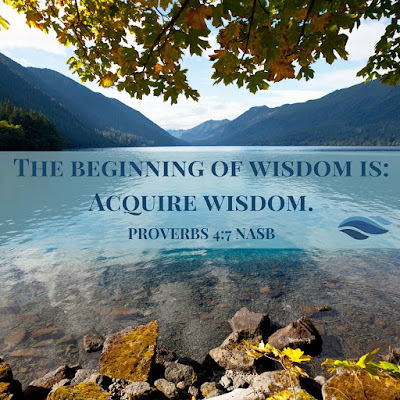 A discipler will strategically teach, correct, restore, answer questions, and guide in accordance to the scriptures. A coach is an expert listener who uses direct communication and asks questions. Not just any questions. A coach asks the questions that a disciple can't or won't ask about their walk with the Lord. The "can't," might be a type of question that the disciple doesn't know to ask. The "won't" is the type of question that a disciple is afraid to ask. There are many good examples of coaching in the scriptures and as you can imagine, Jesus was highly effective in this skill. Coaching guides in understanding, that leads to meaningful and consistent action. It's nurtures deep thinking to reinforce the mindset of a disciple for sustained fortitude in their walk. Have you ever wondered why there are so many great Christian men and women that read the same scriptures and come to so many different and seemingly contradictory conclusions? Well, me too! There's actually a good way to understand this phenomenon, and understanding it can really help us in our discipling. Perspective and fluid circumstances, are things that can be difficult to get our mind wrapped around. If only we were like the Lord and had unlimited knowledge. Yet, we will find that we don't need all knowledge if we have a great thinking strategy. One reason we are commanded to be transformed by the renewing of our mind is because when we come to the Lord we think like the world. The challenge to transition our thinking is analogous to the question, "does a fish know he is in water?" How can we take on God's thinking process when we are not even sure where the boundaries of our worldly thinking lie? Jesus thought in ways that were foreign to everyone on the planet. He used parables, teachings and penetrating questioning to either enhance and/or disrupt worldly thinking and instill the mind of Christ. His perspective was extraordinary and had to be "discipled" or should I say, taught, mentored, coached and demonstrated. Let's use a metaphor to illustrate "perspective," and why it is not our enemy and can be embraced. 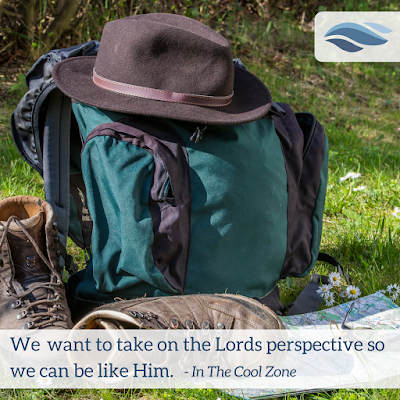 Understanding the concept of "perspective," will have the effect of bringing us closer to our brothers and sisters in the Lord and thereby bring us closer to our Father. If I hand you a photo of a backpack laying on a table and ask you to describe everything you know about it, you can only give me so much information. If I walk you around the table that the backpack is sitting on, you can give me even more information. In fact, there may be something that you would describe differently, now that you have more information. Yet, we still don't have all the information that we could have. Next, I'll have you handle the bag. As you lift the backpack from the table you feel the weight. You can feel the material it's made of. You can tell if the bag is wet or dry. You can now, examine the harness, the pockets, the secret pockets, the loops, etc. You can test the capacity by adding things to it and you can play with the adjustments on the harness. You can describe the contents and tell me if the water bottle has hot or cold liquid in it. Maybe you thought it was empty before you held it? Maybe you didn't even see the bottle in the picture?